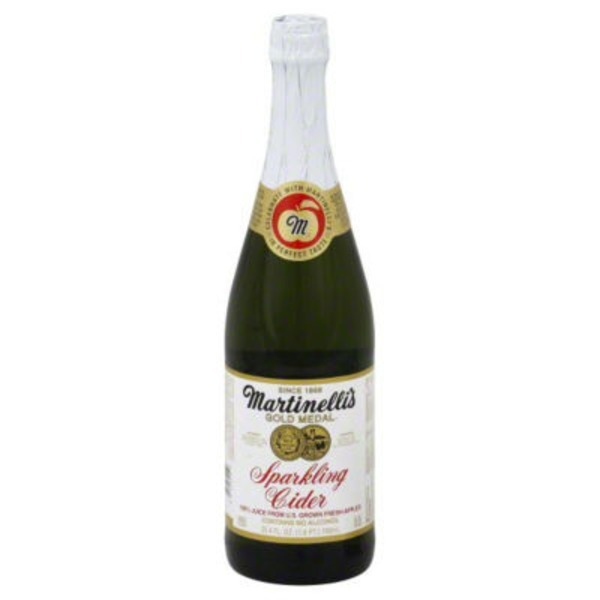 Shalom, can one open a sparkling apple cider on Shabbat. Whats the general rule, for tearing things when it comes for food and drinks. The notion that we are allowed to rip things because it has food inside of it is not correct, and often it can lead to numerous melachos. Essentially the bottle should be opened before shabbos and you should not wait until shabbos to open any bottles. regarding this specific bottle, essentially there are two issue, ripping the paper or plastic wrapper, and opening the actual cap. Regarding the wrapper, it is permitted to rip it open on shabbos, because it is not considered a kli at all, and if it is done in a way that is destroying it it is permitted. You should however rip it with caution and make sure not to rip any words or pictures. Regarding the cap, from the attached picture it is hard to know what is underneath the wrapper, but I am assuming that it is a metal cap, opening a metal cap that is held to the bottle with a ring should not be done on shabbos, because it is considered fashioning a kli. R’ S. Z. Auerbach zt”l and other explained that there is a difference a plastic cap which was a cap before it was forced on to the top of the bottle, and a metal cap, which was only a sheet of metal and was actually given it’s shape when it was squeezed on to the top of the bottle. Since it was never a functioning kli, therefore when the ring underneath it is broken it is considered fashioning a the cap and making a kli. Therefore it should not be done on shabbos. There is however an option to open it in a permitted way, which would be open it in a way that will destroy it from becoming a functional cap. After the wrapping is removed, take a knife and carefully make a nice sized hole it the cap in a way that will not rip any letters or pictures on the top of the cap. Then twist the cap off. Minchas Shlomo 1-91(12), Divrei Moshe 17,18 in the name of Minchas Yitzchok, Rivovos Efrayim 4-96 in the name of R’ Moshe Feinstein Zt”l and Be’er Moshe. Poskim. Not what you're looking for? Browse other questions tagged Forbidden activity on Shabbat - 39 melachot opening containers on shabbos or ask your own question.